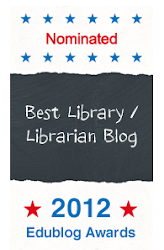 Teachers and Librarians! 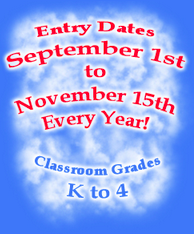 Mark Your Calendars for Mrs. P's Annual Writing Contest! 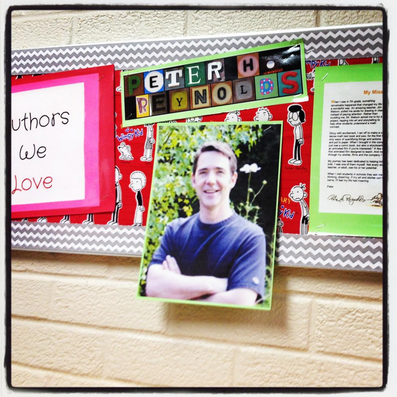 Time for Mrs. P's Be-a-Famous Writer Contest. And you sure don't want to miss it this year with the theme of Pets. 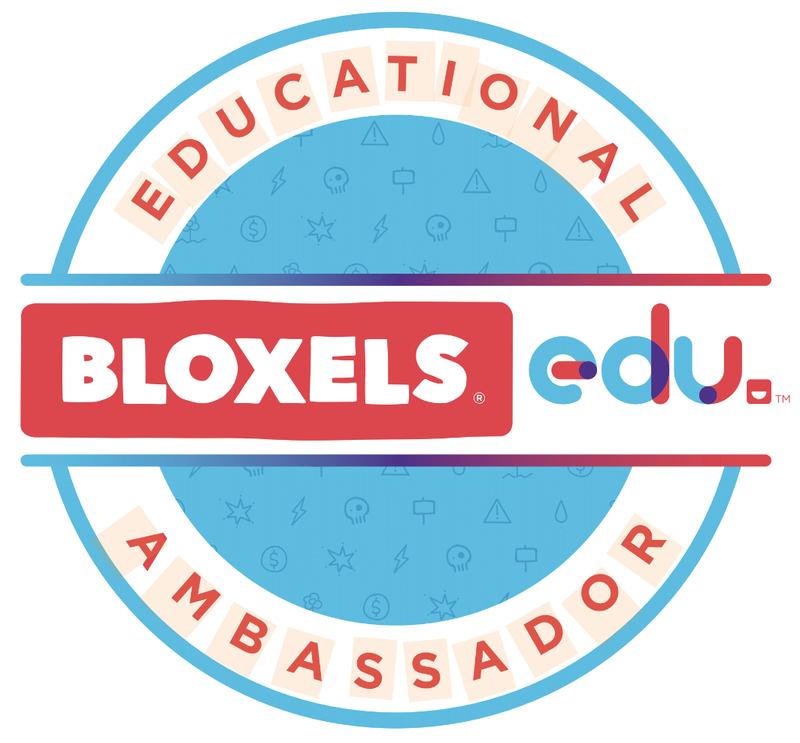 The contest is for K-4 classrooms and the winning classroom is filled with books in every format from the generous sponsors of the contest. To get the scoop on the contest, I spoke with my dear friend Mrs. P and asked her a few questions. When I was young I can remember reading books starring animals and they have remained lifetime favorites. Stories like, Charlotte’s Web, Old Yeller, Black Beauty, Sounder, and The Yearling made a huge impression on me. I also loved Peter Rabbit, which I have in my Magic Library, and Winnie the Pooh. Oh there are many. But as you know, I am a lover of the classics. Write a conversation you would have with your pet if you could talk with animals. What if your pet was a performer, what kind would they be? What tricks would they do? What would your day be like if you were a cat? Or a dog? Or a fish? What sorts of things would you do? What would you say to your owner? I also have my Imagination Launchers I created with my pet dog Spyri, named after the author of “Heidi,” a favorite book of mine when I was little. Imagination Launchers are meant to help kids jump-start their imaginations and get those stories started. These are animated story prompts, and what kid doesn’t like something animated? It is the classroom entering, not an individual student. This will be our 3nd year running the contest this way. 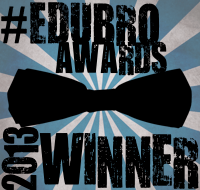 The classroom will be recognized as the winner. For example "Mrs. P's 3rd Grade Class from Dreamy Valley" Everyone in the class that wins is winning books and prizes for their school. I make the winning story into a video for my YouTube site, so that they can share it with everyone they know. The video story is illustrated by Robin Robinson. 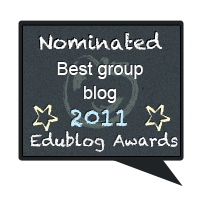 http://www.robinillustration.com/ and I also read the story live to the classroom that wins, if they have Skype technology. 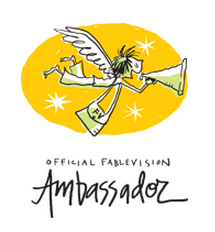 The stories are judged by a panel of celebrity judges that includes Peter H. Reynolds , children’s book author, illustrator, bookshop owner and founder of FableVision. 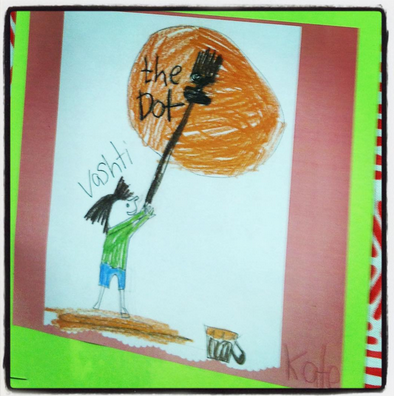 I have been participating in Dot Day with classrooms every year, and was so thrilled that he accepted my invitation to be a judge. He is such an advocate for creativity and children of all ages. And I just love his book, The Dot, as it really teachers children that it’s A O. K. to make your unique mark on the world, and that’s what my writing contest is all about. 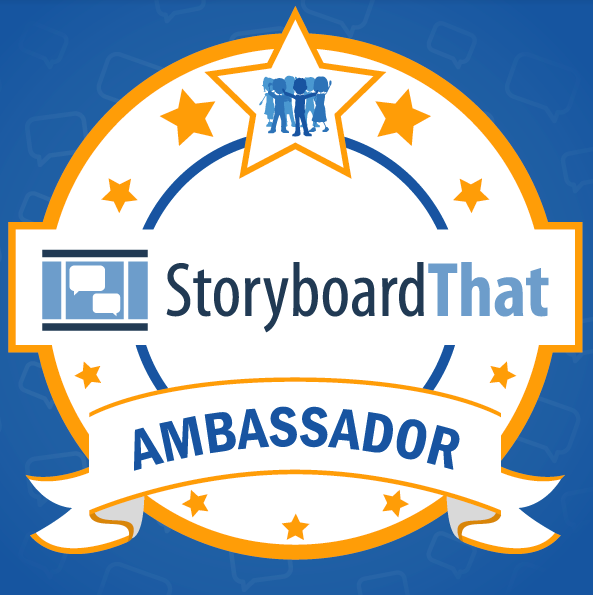 And John Schumacher (aka Mr. Schu) a blogger and teacher-librarian at Brook Forest Elementary School in Oak Brook, Illinois. 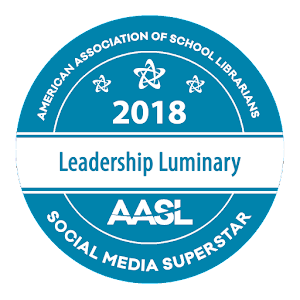 The Library Journal named him "The Xtreme Librarian" for the high level of exertion and gears and stunts he uses to get kids reading, and Instructor Magazine named him a Cool Teacher for redefining what it means to be a teacher-librarian. And of course, I also act as a judge. It’s my favorite thing in the world to read the contest entries every year! My amazing sponsors are providing books galore that will benefit the schools of the winners! 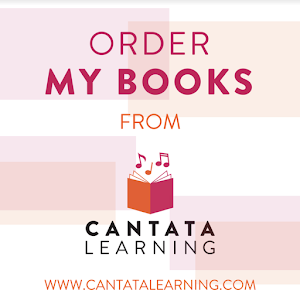 Books in every format, real books, digital books and audio books! And what school doesn’t need books? 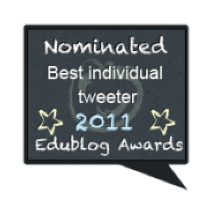 See my prize page for details of what classrooms will win. 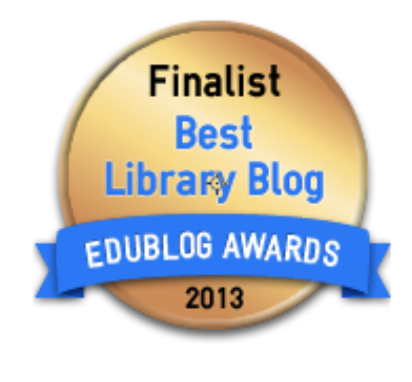 Meet my sponsors :Mackin Education Resources, Tales2Go, FableVision Learning and Powell's Books. 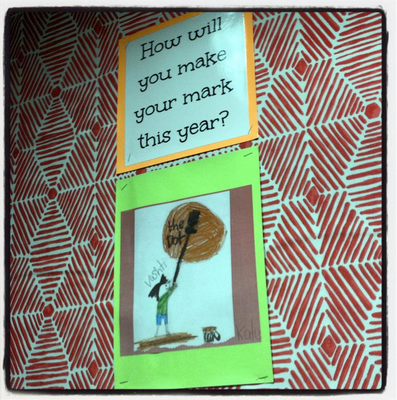 When the students at Amana Elementary enter the library hallway next week, they will be excited to see a new display created by their teacher librarian Heather Fox inviting them to make their mark on the world! Her teacher smiled. Just make a mark and see where it takes you! 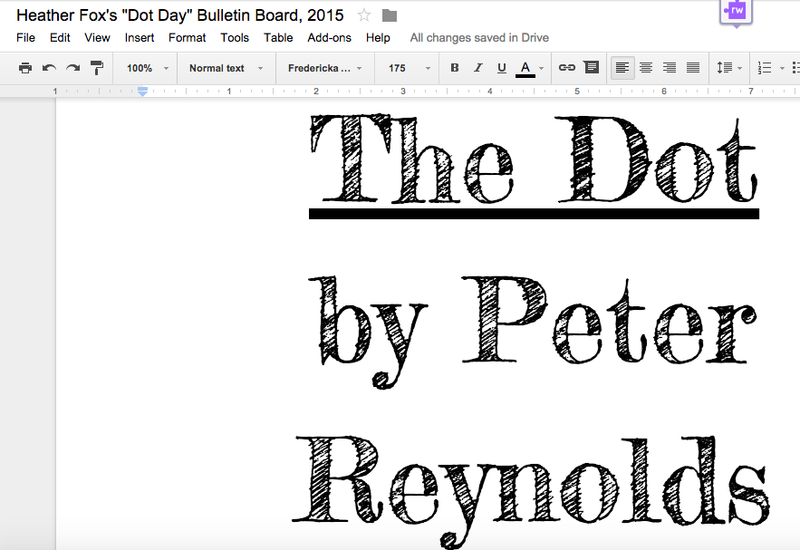 are from The Dot by Peter Reynolds. just like one of the 3rd graders at Amana Elementary did last year. 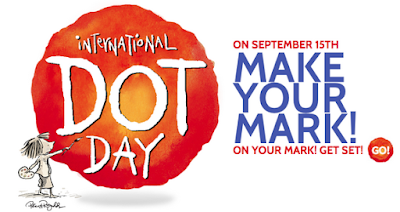 And what makes it so special this time of year, is that we are all getting ready to celebrate International Dot Day September 15ish. And just look at how many are already signed up to connect and make their mark around the world! 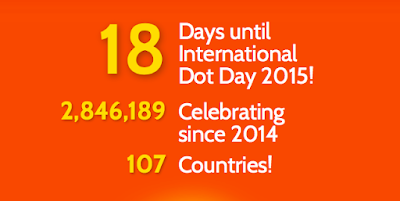 If you haven't signed up for Dot Day this year, please register here. 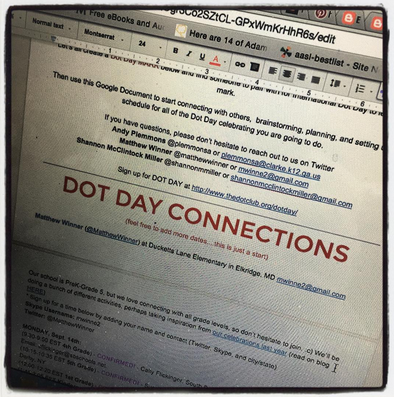 And if you are looking for making connections with other students, libraries and schools to celebrate Dot Day with, please check out our Collaborative Google Doc. 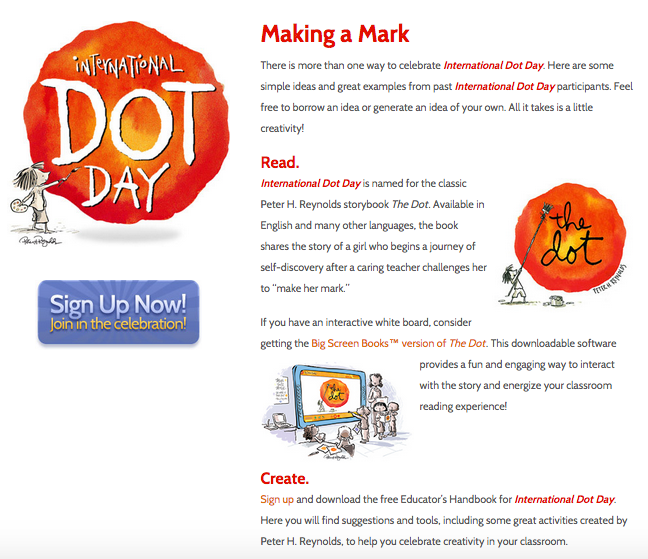 There are dozens of teacher librarians and educators around the world planning their Dot Day connections and celebrations here....It is awesome! 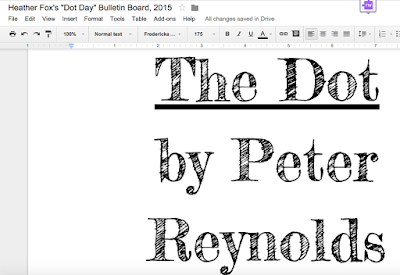 shared the Google Doc of the materials to create this in your library and school too. She found that adorable fabric on Fabrics.com. 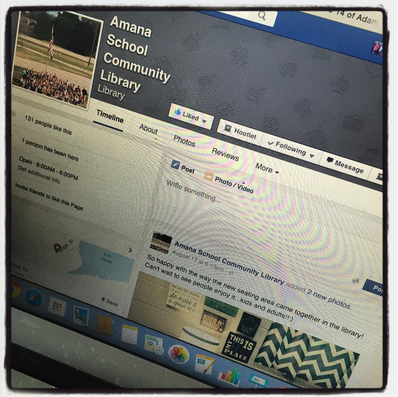 You can follow Heather and her Dot Day adventures on the Amana School Community Library Facebook page. This is one of the things that she is planning before school starts next week....just wait until you see what else she has going on. 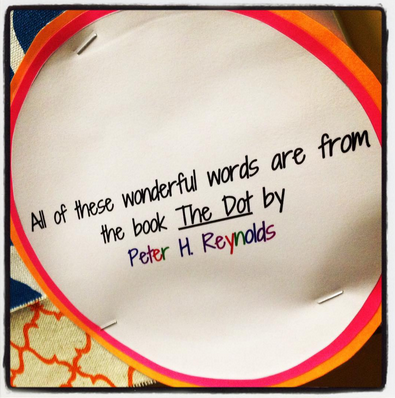 Dot Day and Peter Reynolds, a favorite in their library and all of ours, have brought all of us together in such a special way. 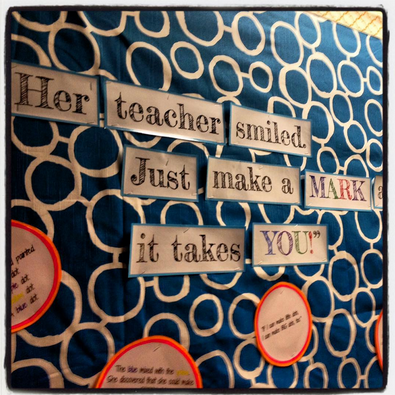 I can't wait to see where the marks of her students take them all year long. 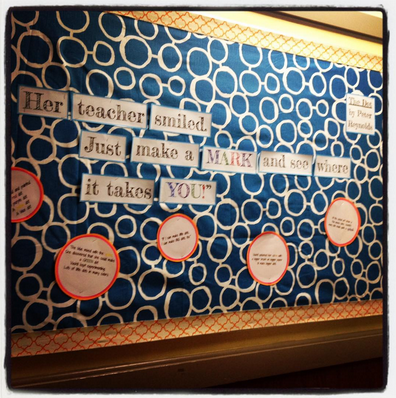 And those of your students too. 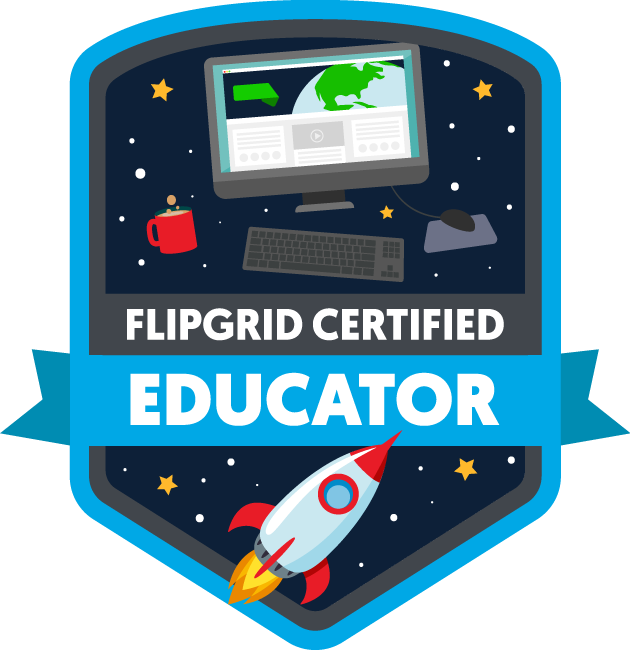 Smashing Smore and Canva Together....What A Beautiful Result! 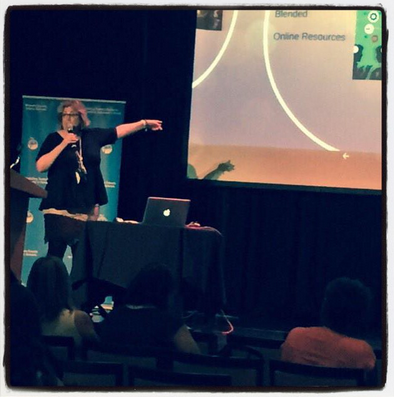 Two of my favorite digital tools are Smore and Canva! So being able to smash them together in one project is the best! My daughter Brianna and I have been working on a new project all about being connected. We decided to put it together using Smore because it creates such an awesome online newsletter that is easy to combine lots of elements that are easy to share, edit and embed. One thing that I always want to do though is really spice up my projects and make them totally unique. So this is when I turn to Canva, my favorite graphic design tool! either as a Big Photo or a collage of three in a Photo Gallery. 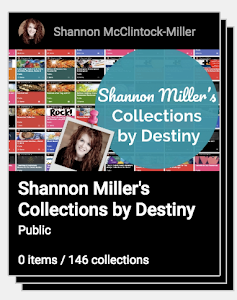 I wanted to add two different types of text boxes to the Smore, so I created Canva's to serve as big photos. 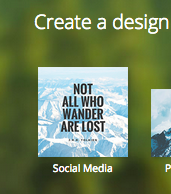 I wanted one to be square and hold lots of information, so I choose the Social Media Design within Canva. 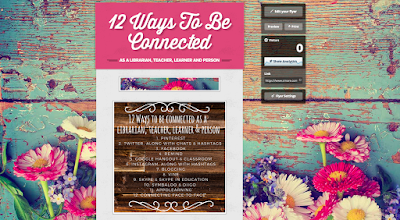 This created a great Canva to be used! I love how it turned out....and how it really completed my new blog design that I also created with Canva. Next, I wanted to find a design that was skinny to be used as titles for each of the 12 ways to be connected. 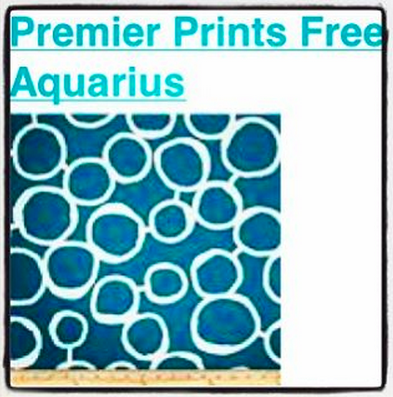 For this one, I used one of the new designs within Canva....Etsy Banner. It created just the look I wanted. 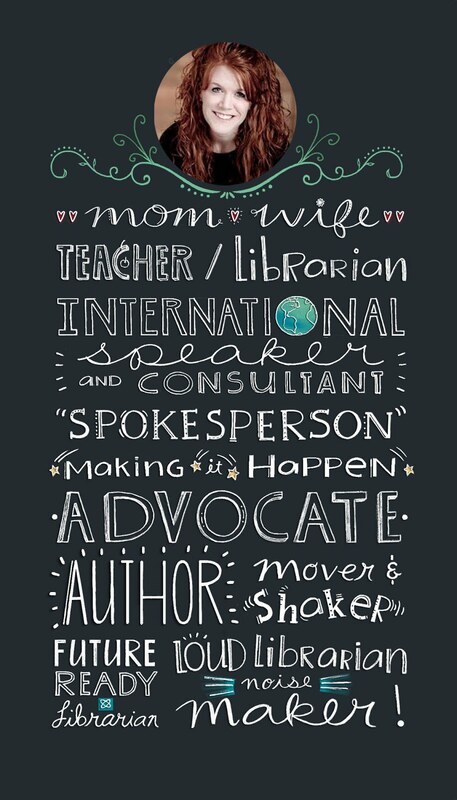 You can see by smashing Canva into Smore it creates such a beautiful result! 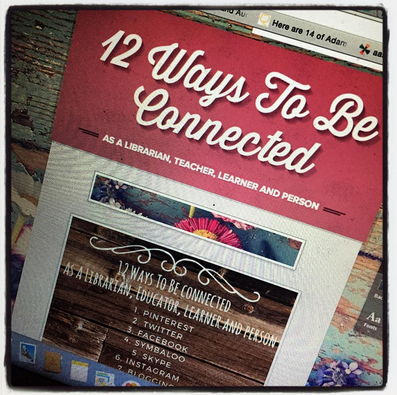 12 Ways To Be Connected....A New Smore To Help You Become A Connected Librarian, Educator, Learner and Person Too! 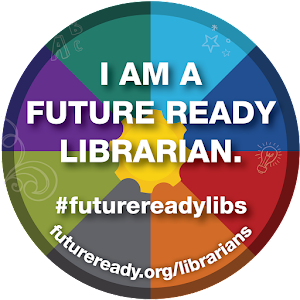 There are so many ways to be connected as a librarian, educator, learner and person. 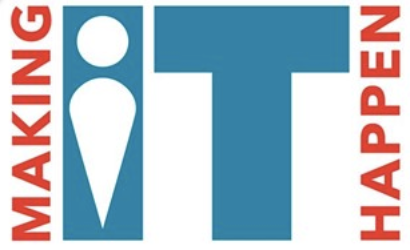 We use several different social networks and digital tools, while connecting face-to-face and in virtual events as well. 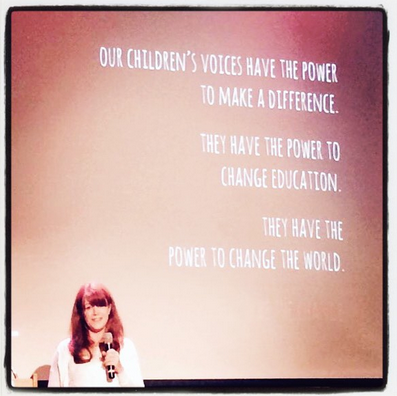 At back-to-school time, my daughter Brianna and I thought it would be fun to celebrate by sharing 12 of our favorite ways to be connected with all of you. 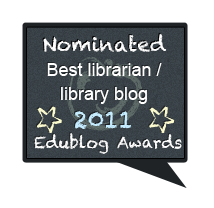 We will be sharing all of them on this Smore and writing a blog post on my blog, The Library Voice, to go along with each. The posts will give a few more details and tips to help you. 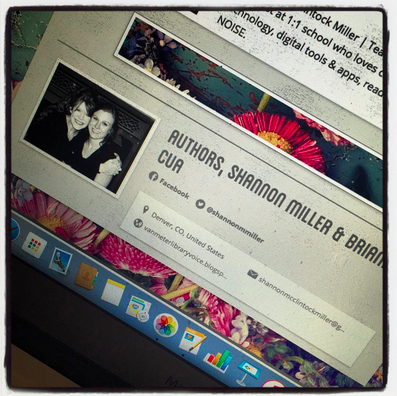 In the 12 Ways To Be Connected Smore that Brianna and I share, you will find a path to becoming a connected educator too. 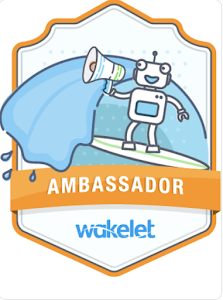 20 Awesome Digital Tools and Apps To Kick Off The New Year! 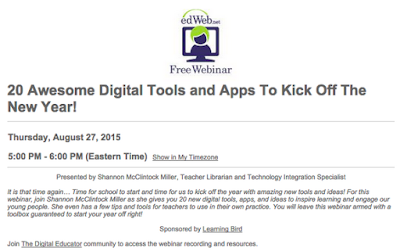 You can sign up for the free webinar here too. 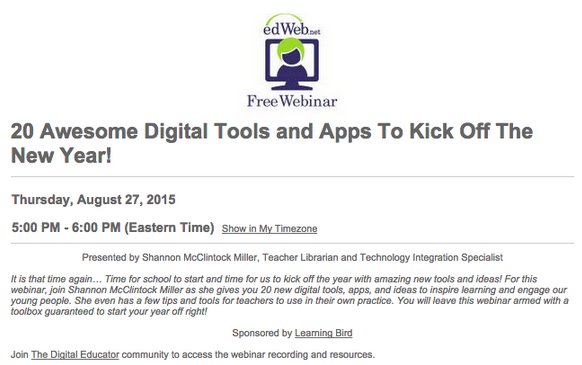 I need your help with my webinar by sharing the digital tools and apps you can't wait to use this year. 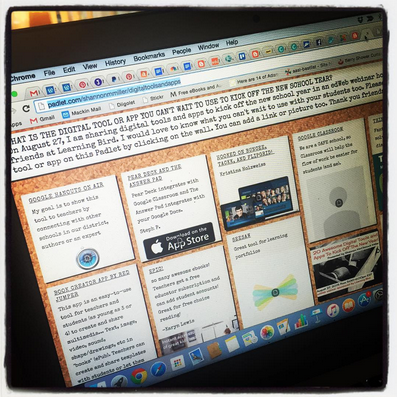 Will you please add yours to this Padlet that I have created? 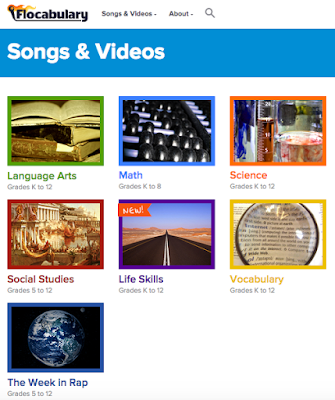 You can get to the Padlet here. 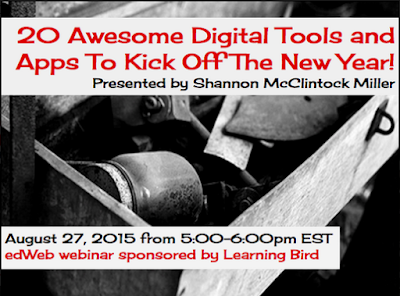 I would love to see all of the awesome digital tools and app that you will use too. 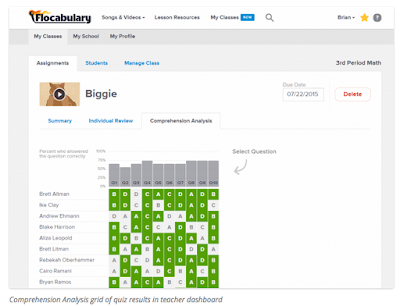 You can share a link to the tool or app and how you think you will use it with your students. 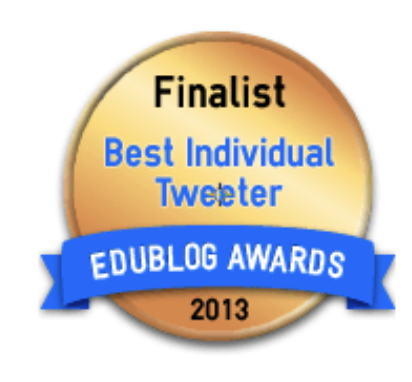 Thank you friends.....There are already several ideas on the Padlet. 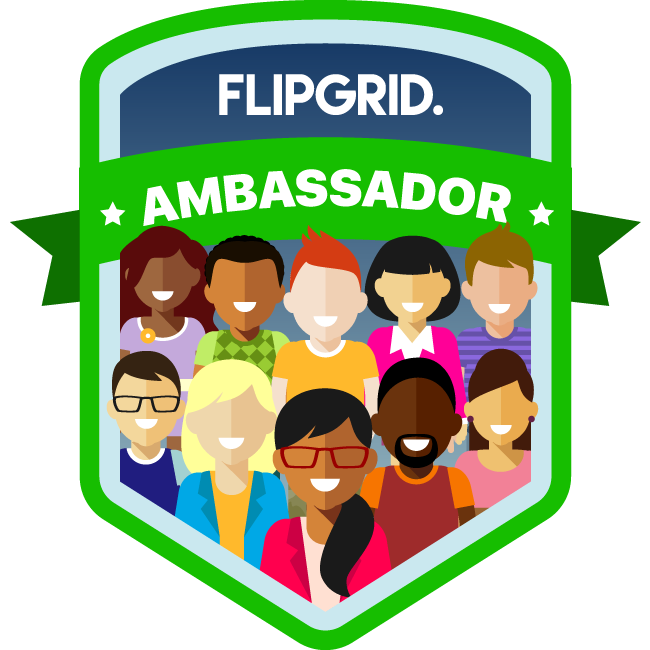 I can't wait to see what everyone shares and the ideas we get from each other. 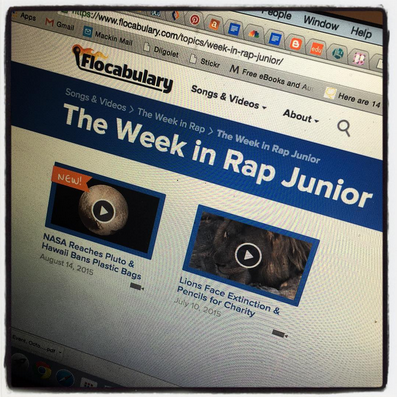 Flocabulary Is Really Rocking This School Year.....And It Starts with "This Week In Rap Junior"! 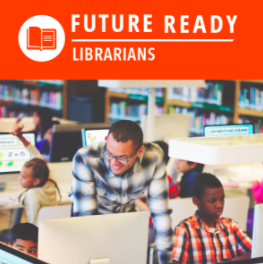 I was very excited to open an email from my friends at Flocabulary today...especially when I saw that it was for a brand new program just for our elementary students. 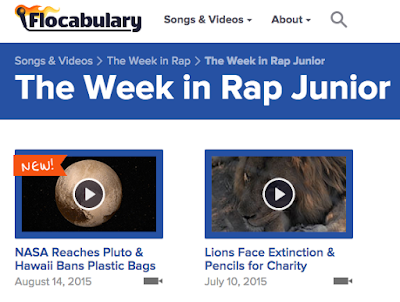 It is called The Week In Rap Junior! I love that now our youngest learners can also learn with the amazing videos created by Flocabulary. The Week in Rap Junior connects age-appropriate news stories to elementary science and social studies curricula and promotes development of core skills like reading, writing and critical thinking for students in grades K-5. Each week, the series will offer students a new hip-hop video, standards-based exercises, a creative challenge - and the chance for a shout-out in an upcoming video! 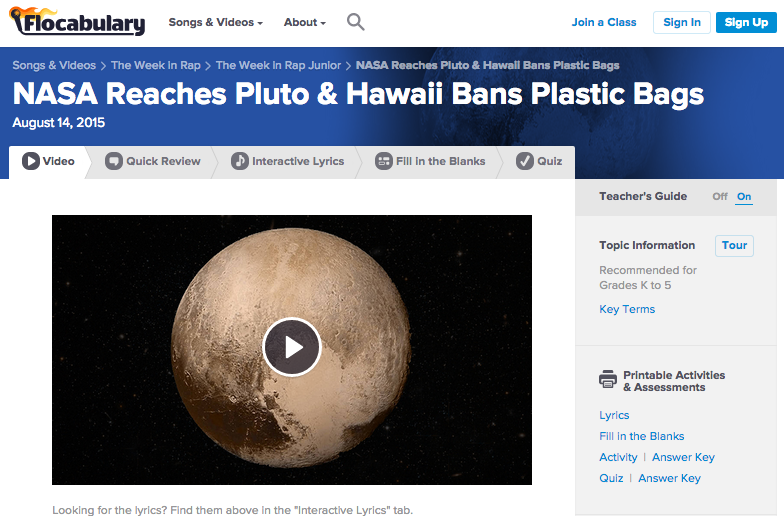 Like all of the units - activities each week include quick review questions, interactive lyrics (that offer more info on each news story!) fill in the blanks, a quiz and great printable activities like this one for the August 14th edition of the Week in Rap Junior! 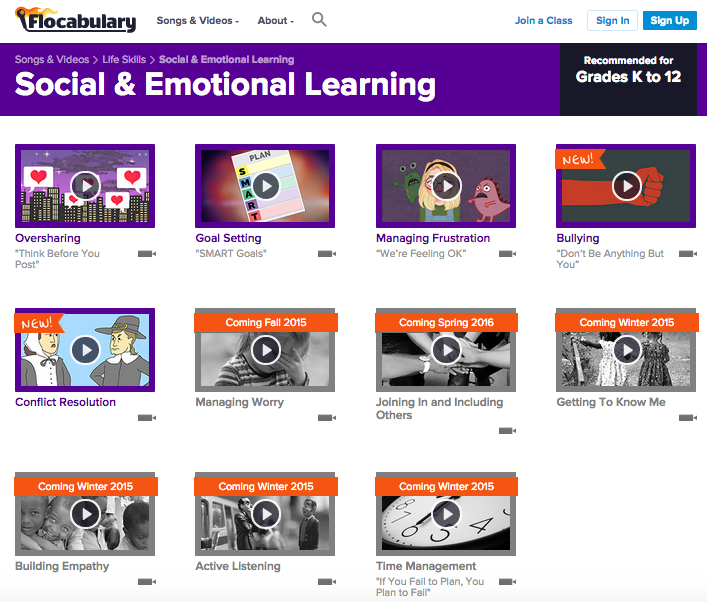 They have the full update on the series in this Flocabulary blog post, and first few editions of the new series are available free here (pictured above). And there are a few more updates I just have to share with all of you! 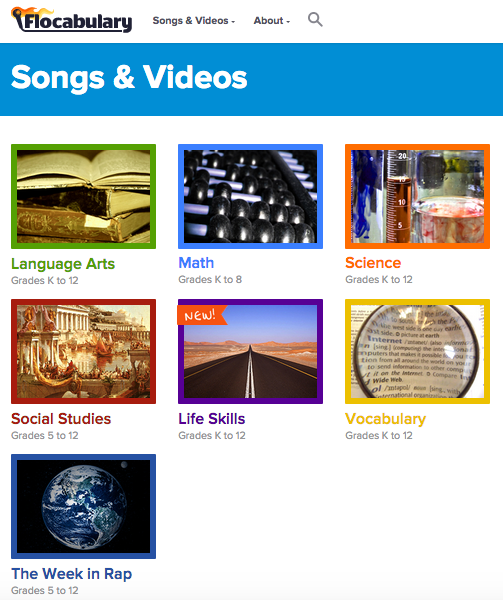 There are nearly 100 new videos (plus activities & quizzes ) since last school year! 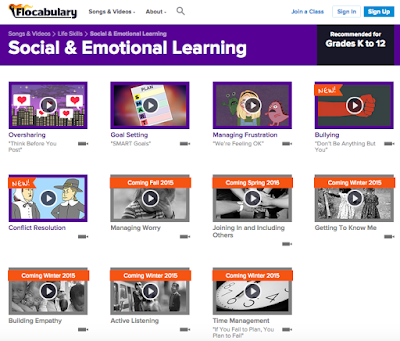 Over the last year, they have added new units across the content library, with some of their latest releases supporting new subjects like social & emotional learning and geography. Social & Emotional Learning... This subject is a recent addition to the Life Skills subject with units on topics like bullying and managing frustration. 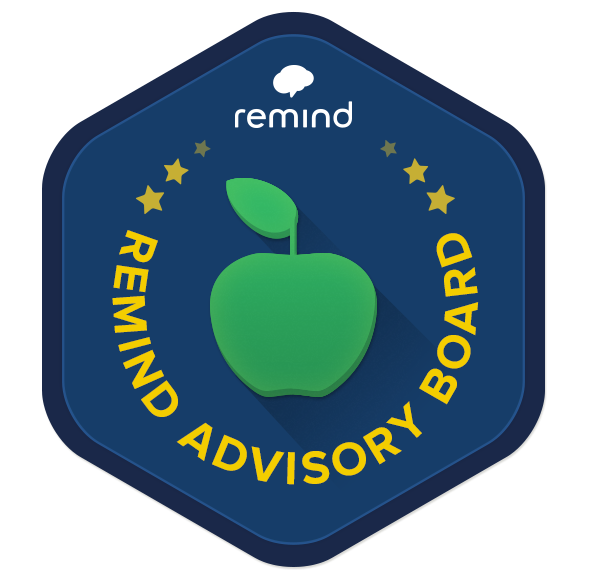 They are continuing to add more resources in coming months on topics including teaching empathy, active listening, and more! 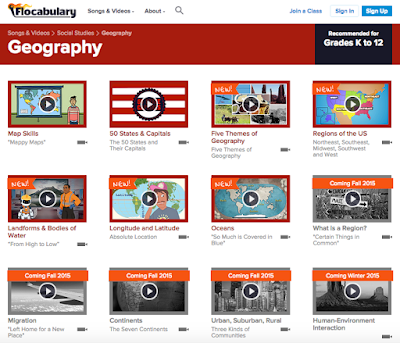 Geography....The subject expanded this summer with units for teaching concepts like longitude and latitude, themes of geography and landforms, with additional titles coming this fall! 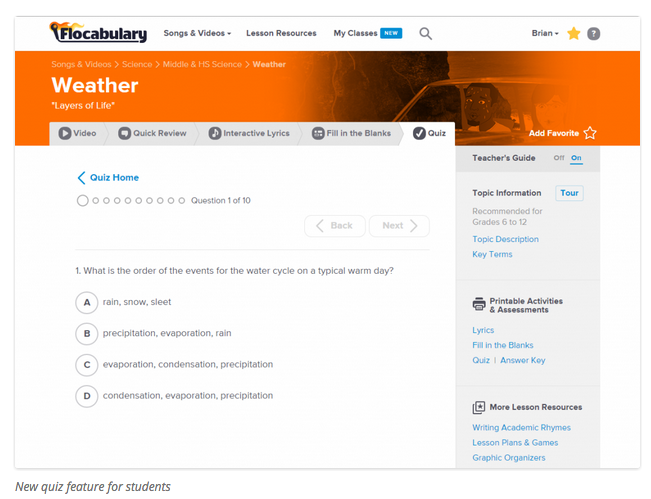 And check out these new features for planning, differentiation and intervention! Last month, they announced new features to help educators use Flocabulary to check student comprehension and plan instruction. 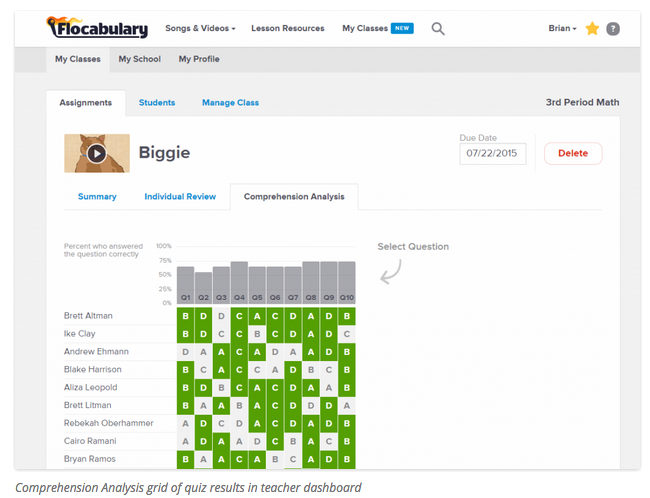 The new features include online student assessments plus updated dashboards for teachers with reports to view student learning trends. 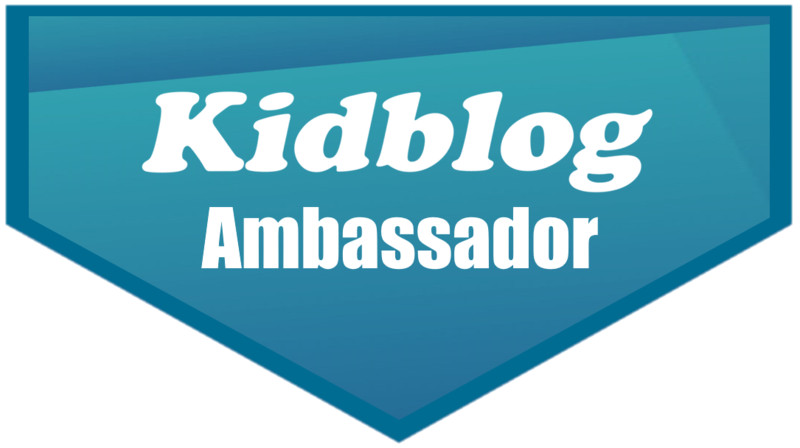 One of my favorite places to go on Flocabulary are the activities for all of the big and small events for each month. 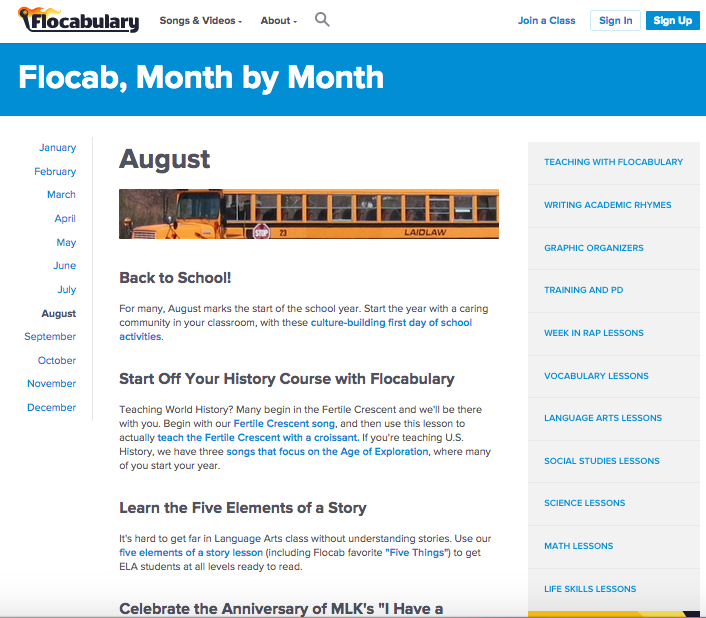 As we start back to school, don't forget to check out the Flocab, Month by Month for August and Back To School time. 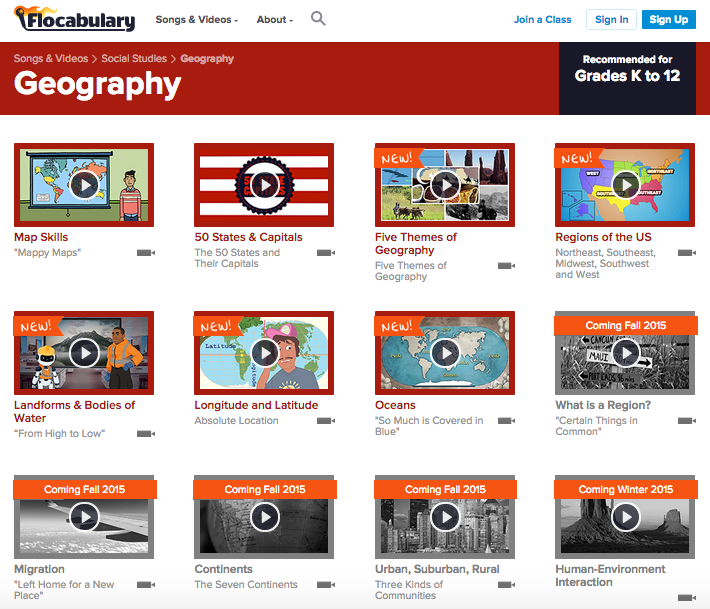 These are just a few of the reasons that Flocabulary is one of my favorite educational resources. And I am not alone. 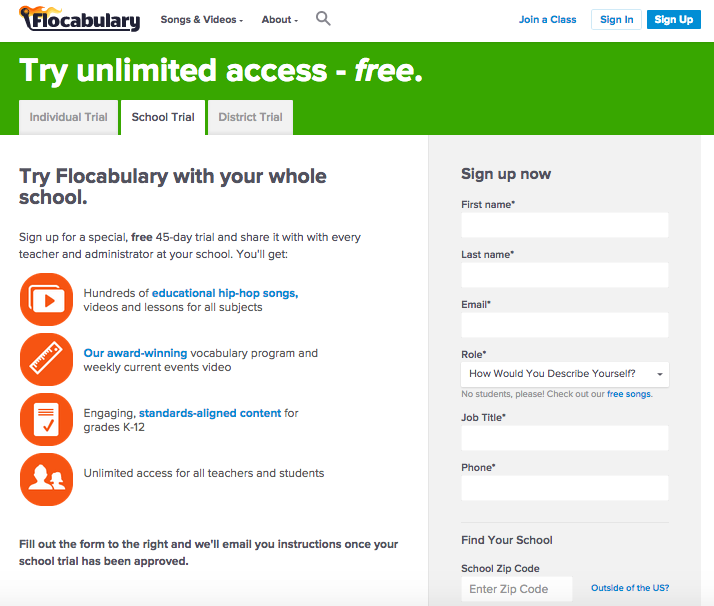 96% of teachers believe Flocabulary increases engagement in school (and more!) 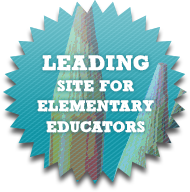 In fact, they just published results from a survey of teachers that use our resources at least once per week - and results show why educators choose Flocabulary too. 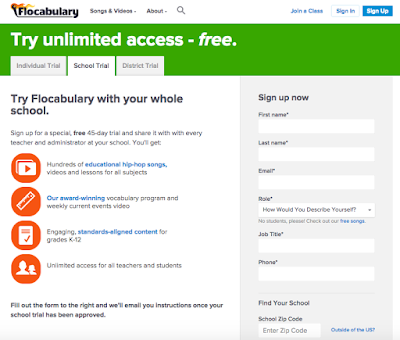 You can try out Flocabulary for 45-days with this free trial, sharing it with every teacher and administrator within your school. Make Flocabulary a part of the learning within your library and classroom this year. 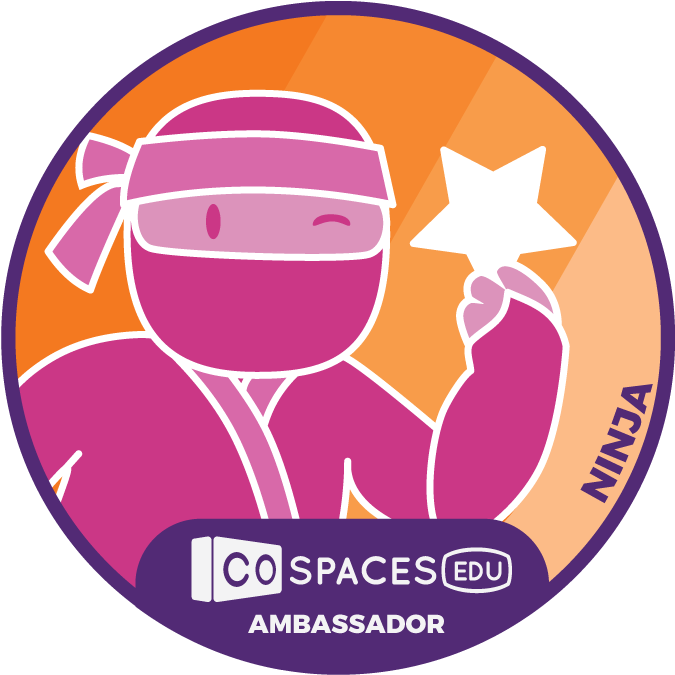 You will see how it increases achievement across the curriculum, engages learners like never before, and brings a whole lot of fun to learning. 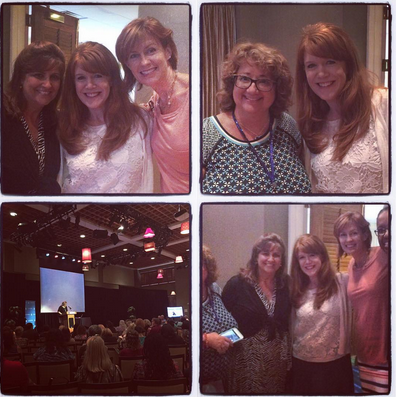 A Wonderful Day Making A Difference In Broward County With Their Teacher Librarians & Mackin! 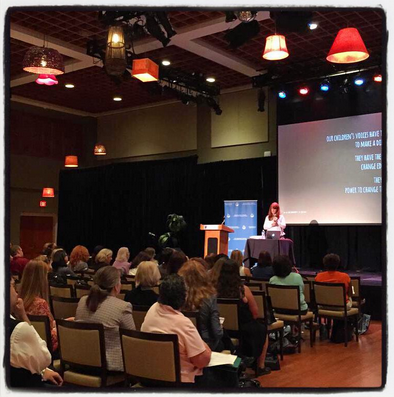 Today I had the honor of spending the day in Fort Lauderdale with the teacher librarians and leaders from Broward County Public Schools at the Broward Center for the Performing Arts. Connect, Curate, Create! 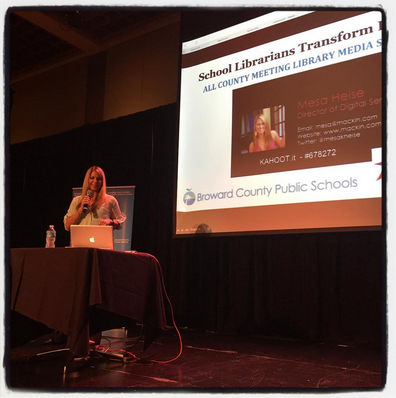 School Libraries Transform Learning! Lynne Oakvik, the district curriculum supervisor, did an amazing job leading the day. 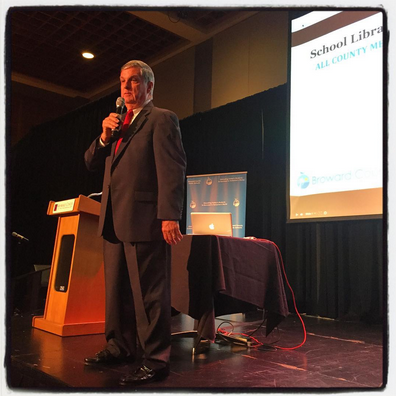 chief academic officer, Daniel Gohl, kicked off the day with inspiring messages of the direction the district was heading and the importance of libraries, teacher librarians, and the change they instill. 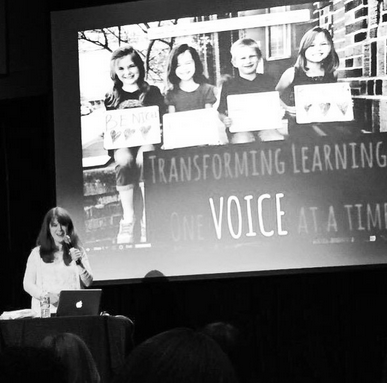 Next, I spoke with everyone about Transforming Learning....One Voice At A Time. 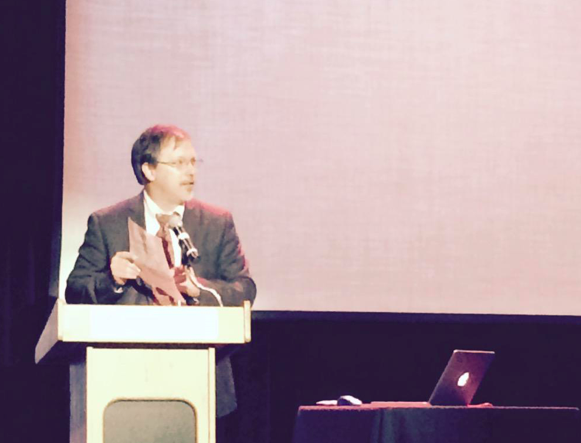 I love sharing stories about students and the power that their voice has to change education. 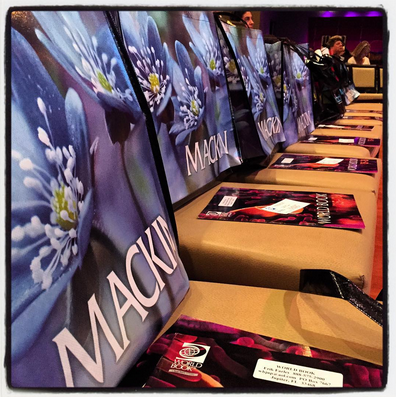 Our friends from Mackin Educational Resources teamed up with Broward County School District to bring me to their event, which made the day even more special. 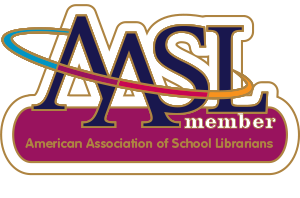 Mesa Heise, and myself shared how MackinVIA can connect our students, teachers, and school communities to an incredible platform where eBooks, databases, audiobooks, student created content, videos, links and more can come together in supporting our digital collections, teaching and learning. 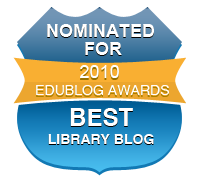 Using MackinVIA within our libraries made a difference and changed the way we interacted with digital content and our entire library collection. 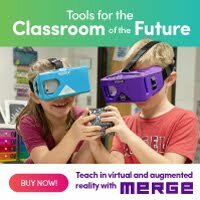 I love how Mesa used Kahoot in the presentation to engage the audience. 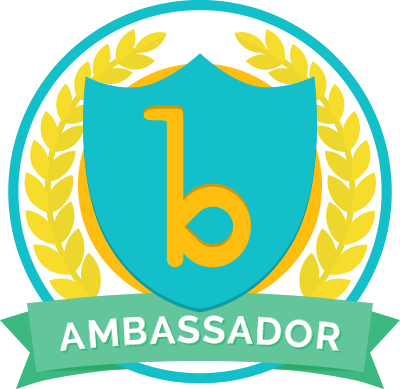 Kahoot is a game-based digital learning center which definitely makes learning fun! 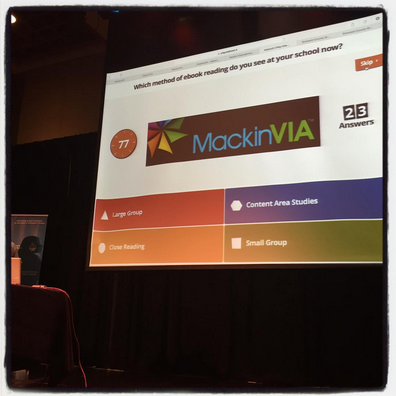 It made me think that using Kahoot as we kick off a new school year would be a really great way to introduce and refresh the knowledge about MackinVIA with our own students, teachers, and libraries. 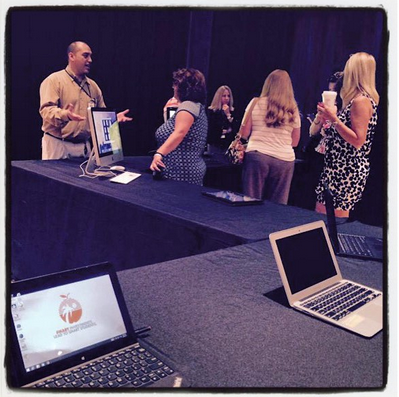 At the end of the morning, the teacher librarians visited a technology showcase to view and test our possible technology and uses within their own libraries. 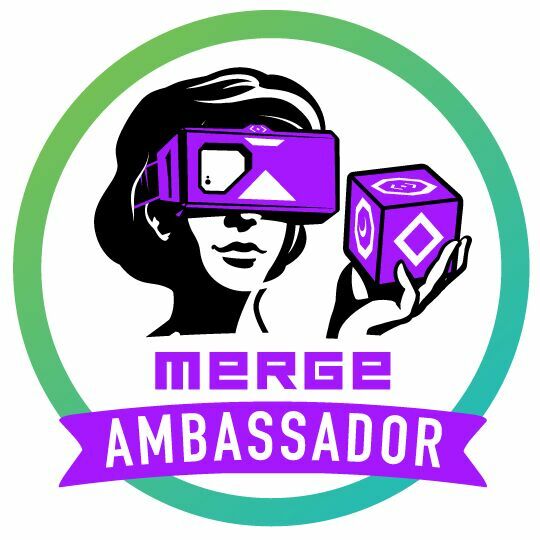 I love how their IT brought this opportunity to them.....What better way to get involved in putting technology into their hands and the hands of their students. 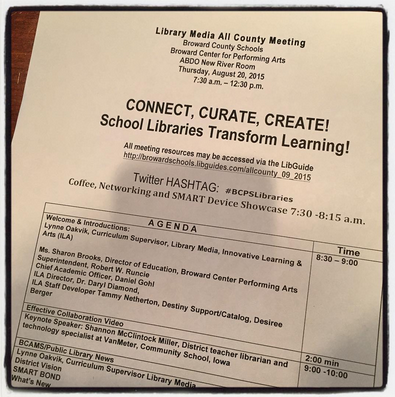 During the event, I enjoyed following the Twitter hashtag #bspslibraries and connecting with everyone. But nothing compared to the connections I made throughout the day and after the event. This is a group of very special people with big hearts, lots of ambition, and the passion to make a difference in the lives of the children and families they work with everyday. 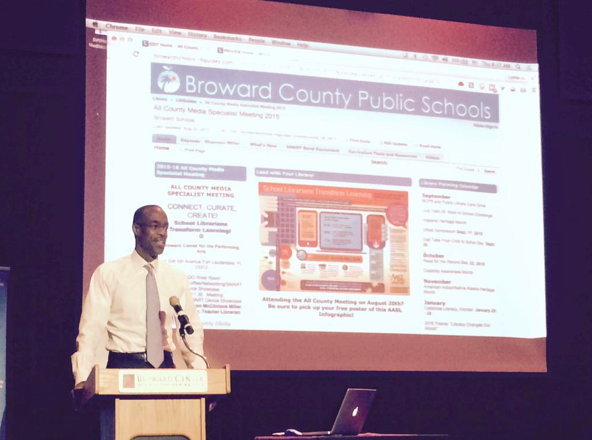 Thank you Broward County for inviting me to share the day with all of you. And thank you Mackin for making it happen. 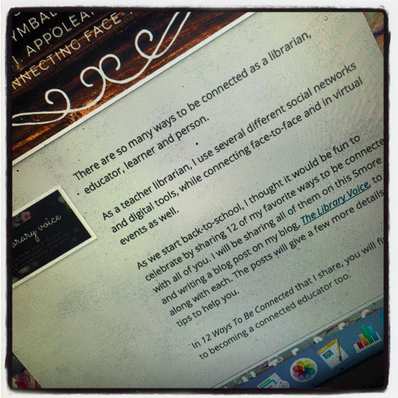 My Online Facelift With Canva!